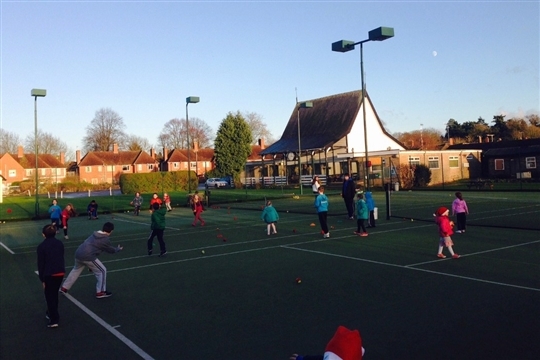 Warwick Tennis Club / Fun, fun, fun! In conjunction with our partner, Coolsportz, we run events during school holidays on a half day/full day, daily or weekly basis for ages 4-14 years. Whilst the main emphasis of the day...after fun....is on tennis, we combine this with multi-sport activities such as football, handball, unihoc, dodge ball, cricket, etc for a varied experience and to develop all-round skills. If you have 2 children, add up the days and these can be used to get the 5 days discount.